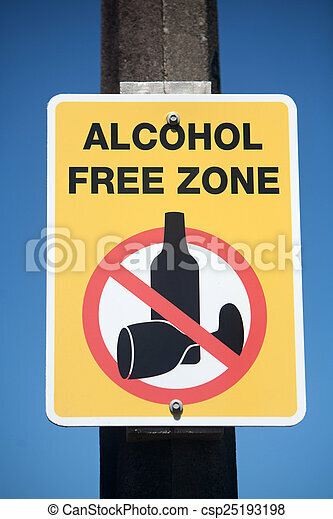 Alcohol free zone sign. Alcohol free zone rectangular sign. Alcohol free zone rectangular sign.